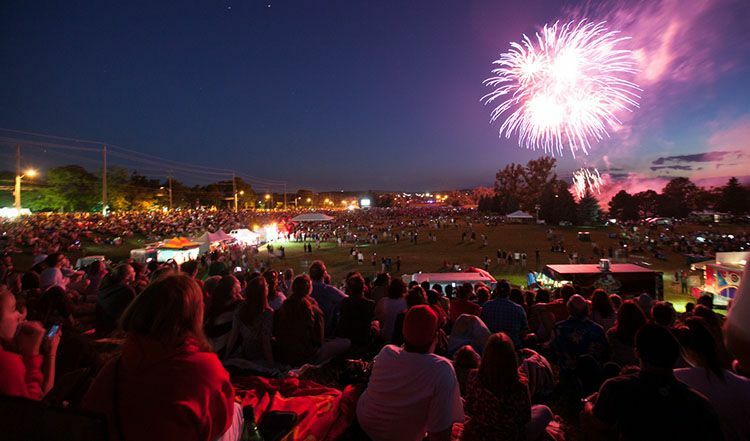 The last time UW students will see Canada Day fireworks on campus is in 2019. The University has hosted the celebration for 35 years. But its last bash is on Jul. 1 and even that will be scaled down to just fireworks. The university is looking for a new host to take over the celebration next year. Last year Imprint received emails from the organizing committee stating they were having a difficult time finding volunteers to set up, tear down and run the events. Feds originally organized UW’s Canada Day party, and the university community hosted its first Canada Day celebration in 1984. The university officially took over organizing the event and its logistics in 2013. The Record reported that the event, with its live entertainment and activities attracted crowds of about 60,000 people to the Columbia Ice Field. The Record also reported the total cost of this event to be $250,000, which, is not sustainable for the university. Representatives of UW also voiced concern about student participation. While the event has grown on a large scale, student involvement has declined. The university has decided to emphasize its core mission of teaching, research, and scholarships, and to focus on the student community itself and organize events spcifically for them. UW began talking to city leaders in December and as Banks told The Record, would like to be part of the discussions regarding the celebration’s future. “The Mayor was understanding and we are planning a community meeting in the future,” Banks told Imprint. Consultation sessions were held with Feds executives regarding the decision. Finding a location similar to the Columbia Lake Field will pose as a challenge, as will the cost of security. However, this can be seen as an opportunity to completely transform the celebration.